The highly experienced, board-certified doctors and friendly staff provide a full range of cosmetic and restorative dentistry services, from teeth whitening/bleaching to veneers and dental implants. We also provide general dental services such as orthodontics, root canals, wisdom teeth extraction and treatment of gum disease and jaw disorders. With as little as one trip, you can start your journey toward a happier, healthier smile. Smile makeovers refers to any combination of cosmetic dental procedures that enhance the beauty and appearance of the smile, correcting almost any problem. Smile makeovers are typically created with the use of porcelain veneers, porcelain crown and/or porcelain inlays or onlays. As a result of these procedures you can achieve a smile that is straight, white and even. Porcelain veneers are thin sheets of baked porcelain that are placed on the front surface of the teeth, offering exceptional results of a natural look and feel. Veneers allow dramatic change of length, color, and shape of the original teeth with minor or no preparation “drilling” (see Lumineers). A recent advancement in technology and materials allow not only exceptional new look but also a predictable, long lasting (up to 15-20 years) consistency in color and quality. Crowns are used to strengthen and improve the shape, size or color of teeth. They can support broken or weak teeth or those with large fillings; provide a smooth, strong, attractively contoured surface for stained, misshapen or otherwise abnormal teeth; and aid in the implantation of bridges and other implant. Bridges are natural-looking tooth replacements which help maintain facial structure, reduce stress on the jaw and fill in the gaps caused by missing teeth. Bridges may be made of porcelain, gold, alloys or a combination of these. Removable bridges can be taken out and cleaned at home, while fixed bridges are implanted in the jaw and bonded to the teeth with crowns or caps. The Zoom! 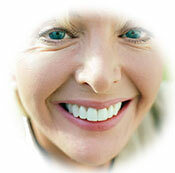 Whitening System is a scientifically advanced, patent pending, tooth whitening procedure. It’s safe, effective and fast, very fast. In less than an hour your teeth will become dramatically whiter. Zoom! Whitening is ideal for anyone looking for immediate results. The convenience of Zoom! in comparison to days of wearing trays or strips, makes it the perfect choice for the busy individual. Natural looking, tooth colored fillings (sometimes called composites, resins, onlays, inlays or porcelains) have been available for years. They can be used in both the front and back teeth so your dental work doesn’t show. With this process, your mercury fillings are replaced with a porcelain material that is chemically bonded to your teeth for a longer lasting filling, and one that is far more attractive.